There isn’t a more important film than Schindler’s List. I don’t care to turn dramatic very often, but I don’t know how else to say it; this is a movie that every person should see, something that makes such an enormous impact that it can’t even be considered one man’s project, one director’s work, one actor’s role. It’s humanity’s message to the future; “don’t let this happen again”. And yet, countless times throughout history, right now in Syria, we see death constantly and we turn a blind eye, which is why a film like this is so vital, to remind us of horror and to show us what it looks like so that we don’t forget, so that perhaps we stand up and do something about it. 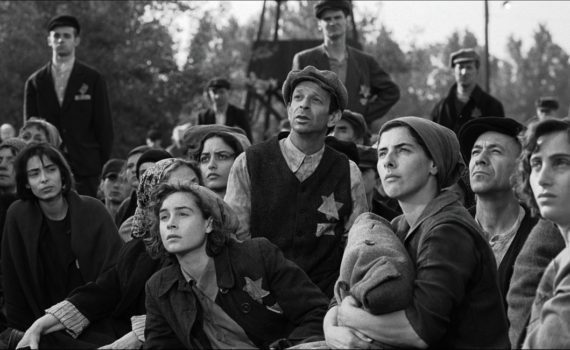 Schindler’s List is difficult to watch, almost vomitously so, but it is also necessary, a movie that transcends pleasing the audience, that becomes living history in a way few ever have before. WWII rages on, while in Warsaw, Poland, the Nazi policy of segregation takes a new step forward. All Jews in the city are relocated to ghettos, their houses and possessions given to officers and to the cause. The sick, the old, and the infirm are taken away, while the healthy are left to work in war factories, crafting materials for the army to use in battle. One German business owner, Oskar Schindler, begins rounding up Jewish workers because of their cheap price, but soon gains the reputation of a kind director and a man who will take on entire families. When the ghettos are emptied and thousands sent to their deaths in Auschwitz, Schindler creates a list, with the help of his faithful accountant Itzhak Stern, a list of names of those who can stay, of those who will be spared. I don’t know what else to say about the importance of this film, other than to reiterate that you should see it once if you missed it when you were younger, and that once will be enough. I had trouble with it the second time, because of my heritage perhaps, because of having children, because of the current world, because of growing up, I’m not sure. But watch it, please, there is no better reminder of what happened and why it can’t be allowed again. Now, on to the movie, which was nominated for 12 Oscars, winning 7 of them. Pretty impressive, and very deserving. Fiennes in particular blew me away as the villain; he was perfect and he had literally just got started acting on screen. Neeson & Kingsley were an incredible pair, the music will haunt you for days, and although over 3 hours seems too long to watch, it flies by. It isn’t an overstatement to call this film special; it is. And it isn’t melodrama to say that it could bring you to tears; it very well might.